Bristol Bears will offer supporters one of the best value matchday tickets in the Gallagher Premiership. With the top-flight campaign set to get underway at Ashton Gate on Friday, August 31st, when Bath visit in the hotly anticipated derby, prices are frozen in the South Stand and unreserved Dolman wings. 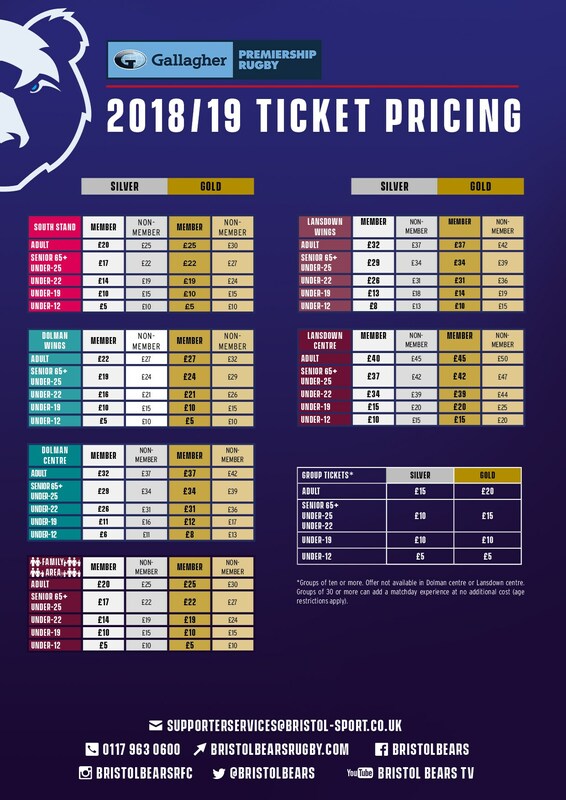 The club will operate a silver and gold category pricing, with Forever Bristol members receiving the best possible price – a £5 discount on general sale rates and 2% Rewards cash for every home league ticket purchased. To find out more and to purchase a £20 Forever Bristol membership*, click here. Prices start from just £20 for adult members for silver fixtures, and £25 for adult members for gold fixtures. 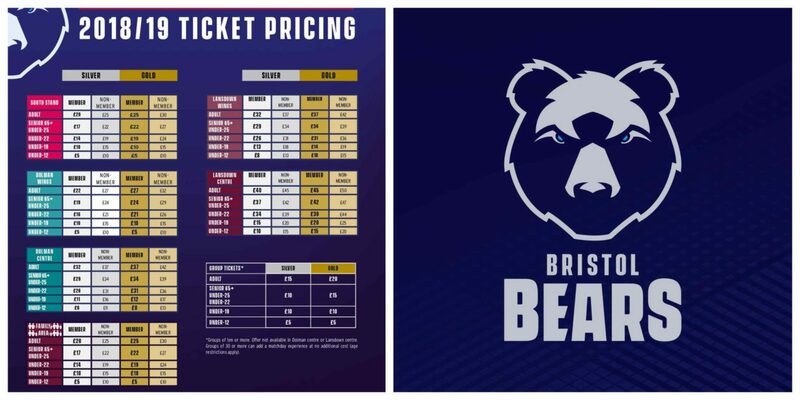 Bristol Bears have maintained their fee-free price of £5 for U12 members in selected areas – for both silver and gold category matches, while U19 member prices start from just £10. The best way to guarantee your seat for what promises to be a fascinating season is by purchasing a season card for 2018/19 by clicking here. *Price does not include £1 postage and £1 booking fee.